Michael Edward Hicks Beach, 1st Earl St Aldwyn (1837-1916), Politician; Chancellor of the Exchequer. Sitter in 25 portraits. 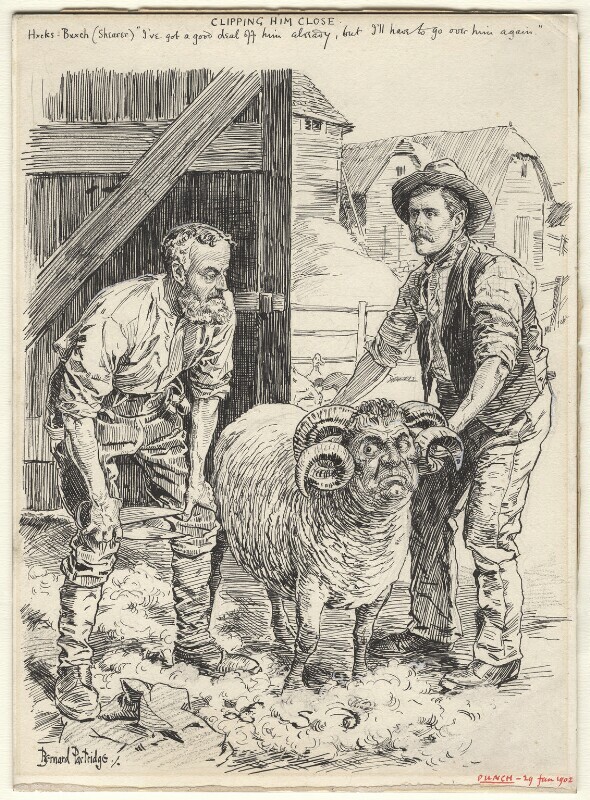 Sir (John) Bernard Partridge (1861-1945), Cartoonist and illustrator. Artist associated with 91 portraits, Sitter in 20 portraits.